Obesity has been a hot topic in recent years, and with good reason. Roughly 38 percent of adults over the age of 19 in the U.S. are obese. What’s more staggering is that more than 70 percent of adults over the age of 19 are overweight or obese, suggesting that most people in this country have weight problems. Just think about these statistics a bit: seven out of every 10 adults are overweight or obese. From a public health standpoint, effective weight loss programs are important, and it seems that sugar may play a role. Let’s take a look at how sugar is associated with weight gain. One of the first things with any body weight management program is to consider how much you eat and to cut out whatever is unnecessary. Sugar is a major culprit in weight gain since it contains calories, but not much else in the way of vitamins, minerals, or anything else that’s good for you. You can find a detailed description of the amount of calories in our calories in sugar guide, but overall, if you eat more than what you need, you will store the extra energy as fat. Some weight loss programs suggest that eating fat is the path to gaining fat, but in reality, it does not matter what nutrient you over consume; the more you eat, the more you gain. Considering the difference between how much sugar we should be eating and how much we’re actually eating, that excess sugar consumption might be one of the key factors in the rise in obesity levels in this country. If the recommended amount of sugar is at most 150 calories each day and the average adult is consuming more than double this value, perhaps the increase in overweight or obese adults is caused by this excess. If a pound of fat equates to roughly 3,500 calories, and men consume 180 calories (at least) in excess and women consume 230 calories (at least) in excess, this could add up over the years. If you do the math on the extra amount men eat, 180 calories of sugar in excess from what is recommended each day, for a total of 365 days over an entire year, and this amounts to about 19 pounds of fat per year. Do the same math for women and this equates to 24 pounds of fat added each year. Doing the math, it seems clear how sugar can contribute to obesity across the nation. One of the first rules in any weight loss program is to burn more calories than what you eat. This method suggests that for every 3,500 calorie deficit, you lose roughly one pound of fat. This is not an exact science, but it is a good way to estimate weight loss. In contrast, if you eat more than what your body needs, then you will gain weight. Figuring out the balance between the energy in and the energy out can be a challenge, but cutting sugar may be one of the best ways to reduce your excessive caloric intake. 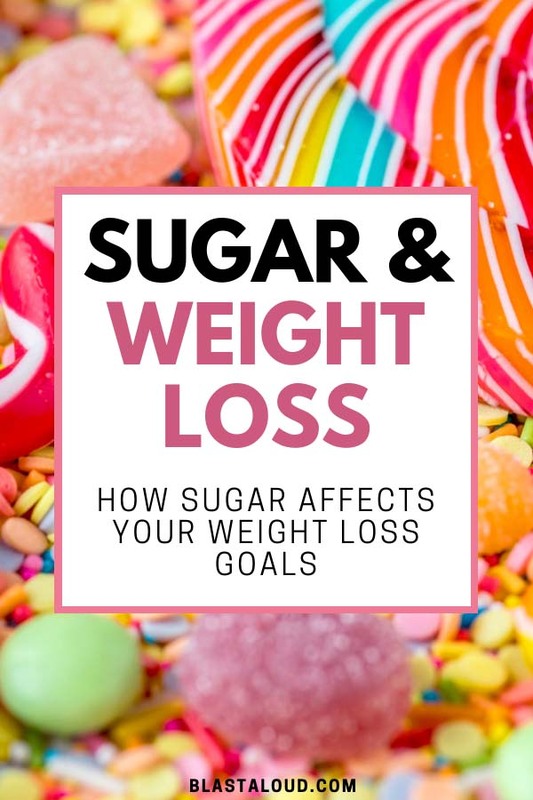 If you use the figure of 82 grams of sugar consumed by the average adult each day, it should be no surprise that you could lose some serious weight from sugar alone. If you are like many adults out there and you feel your diet is impeccable and that sugar is not an issue, consider this: one medium apple contains about 19 grams of sugar, a banana has 12 grams, one orange has 17 grams, and 1 cup of grapes has 15 grams. You can see that sugar is everywhere, even if you have a healthy diet. It is easy to hit the average 82 grams of sugar each day from fruits alone, but considering a plethora of other foods have sugar in them, it would be easy to consume this much without even touching a candy bar. One of the biggest issues in any weight loss plan is avoiding things that your brain wants. This is where many adults have issues when it comes to cutting sugar from the diet. The brain has a strong desire to obtain sugar as a way to boost dopamine (known as the happiness hormone), which can be a major sign of sugar addiction. Sugar also provides a quick burst of energy that also floods the brain with compounds that make you feel euphoric. This craving for euphoria is hard to defeat, and it is one of the biggest challenges people have when they’re trying to cut out sugar for good. 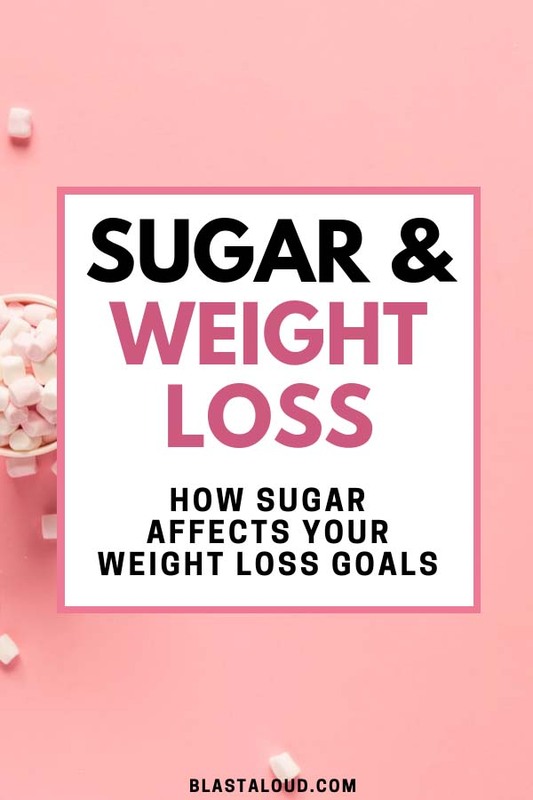 Now that you have some information on how sugar impacts your weight management, some of the names that it goes by, and the difference between natural and added sugars, you will want to learn about some effective ways to cut sugar out for good. Consider the following tips to aid in your journey to successfully avoid sugar in your daily eating habits. It may taste boring when you first make this switch, but beverages are the primary source of added sugars in the adult diet. Consider drinking your coffee black without sweetener or sugars and avoid all forms of soda, including ones with artificial sweeteners. Avoiding sugar is something that adults on diets aim to do, and many switch to artificial sweeteners as an alternative. While they may be calorie-free, artificial sweeteners and sugar substitutes can be up to 600 times sweeter than regular sugar, which means your brain thinks you are consuming enormous amounts of sugar at one time. This strategy often leads to you having intense sugar cravings throughout the day. An orange has plenty of sugar, and a cup of orange juice has the juice of five oranges in there—so it has five times the amount of sugar. And that’s if you make the juice yourself. Orange juice found in cartons in the grocery store—even the ones that say they’re not from concentrate— are highly processed, and many brands have added sugar. If you are serious about cutting sugar from your diet, you should pay attention to how much sugar is in the fruit you’re eating. Fruit can be healthy for you, but you need to limit your intake to 2-3 pieces at most a day—and count that as part of your sugar consumption. You may be surprised that yogurt is a common source of added sugar—sometimes up to 30 or 40 grams in a serving! Choose plain Greek yogurt, which only has the natural sugars in dairy and no added sugars. Make sure to read the food label to double-check. One amazing way to cut back on sugar and to fight some of the associated sugar cravings is to consider getting a little help. There are products such as lozenges that help fight sugar cravings so that you can effectively eliminate it from your diet. Even if the ingredient list on your favorite food items doesn’t specifically list “sugar” as an ingredient, there’s still a chance that it could have a high sugar content under the veil of a different name. There are at least 60 other names for sugar out there, with the most common being high fructose corn syrup. Not all sugar is created equal and it’s important to know the difference between natural vs added sugar. While it may be difficult to avoid all forms of natural sugar, avoiding added sugars that are refined or processed can be a realistic goal to strive for. If you have ever been on a diet plan only to see it work briefly and then go south from there, then you should consider a lifestyle change to make your plan more effective. Consider the tips below as some of the most effective ways to boost your weight loss journey so that your previous frustrations turn into successes. One way to boost your weight loss success is to adjust your exercise routine. Many adults hit the gym, perform endless amount of cardio exercise day after day, only to see minimal results. There are a couple of reasons for this. First, your cardio intensity may not be high enough. Consider high-intensity interval training (HIIT) for better results. Second, add a resistance training program—lifting weights, for example—which will help build muscle. Muscle burns more energy than fat, so this will help with weight loss. Changing your workouts to include high intensity interval training as well as resistance training is a great way to boost your metabolism and add lean muscle mass. One of the biggest issues with weight loss is that adults go all-out at the gym, only to lose all of the benefits directly afterwards. Studies have shown that sitting for long periods of time can lead to weight gain, suggesting that changing this habit may help with n your weight loss goals. Avoid sitting for longer than 30-60 minutes at a time throughout the day for best results. Taking standing breaks can help to circulate your blood, and it increases your heart rate and metabolism just enough to where your body is not in continuous fat storage mode. Another factor that adults should watch when attempting to lose weight is alcohol consumption. Alcohol may have some health benefits, but consuming it often can lead to increased fat production as well as inflammation. Consider cutting alcohol from your diet any time you are looking to lose weight and only drink amounts that current health guidelines suggest you consume. One effective way to control your body weight is to take a brisk walk after each meal. Research has shown that brisk walking after a meal for about 15-45 minutes can lead to an improvement in overall glycemic control in older adults. An improvement in glycemic control could cause better usage of insulin, which could lead to a reduction of fat in your body. Consider making a brisk walk a habit after each meal and you may see great benefits in both weight and in mood. If you found this article on sugar and weight loss informative, please share it! If you enjoyed reading this article or found it informative, please take a moment of your time to pin it to your weight loss board on Pinterest!